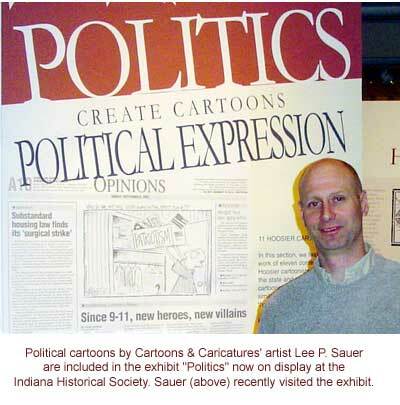 Cartoons & Caricatures' Lee P. Sauer presented "Stories to Draw On" at three schools in the LaGrange (IN) Metropolitan School District on May 12-14. The program, designed to be used in conjunction with Young Authors programs, teaches the process of writing for children and uses basic cartoon art lessons to help students illustrate their own stories. 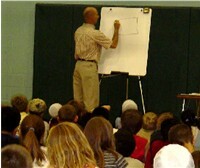 YOUNG AUTHORS AUDIENCE—Lee P. Sauer talks to a group of young people. The students had written stories through the Young Authors program. 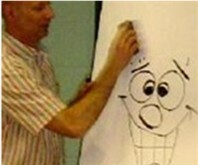 SMILEY FACE—Sauer shows students how pictures can convey feelings. CHARACTERIZED—A student becomes a character in a story. 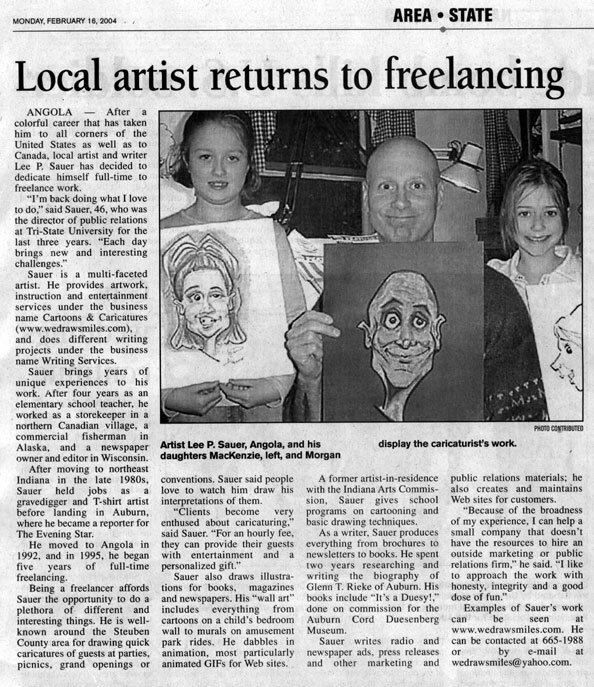 Cartoons & Caricatures We draw smiles! celebrity caricatures political caricatures e-mail LeeP.